The modified version requires a full public review process in order to infill the largest arcades covered by the proposed zoning text amendment. 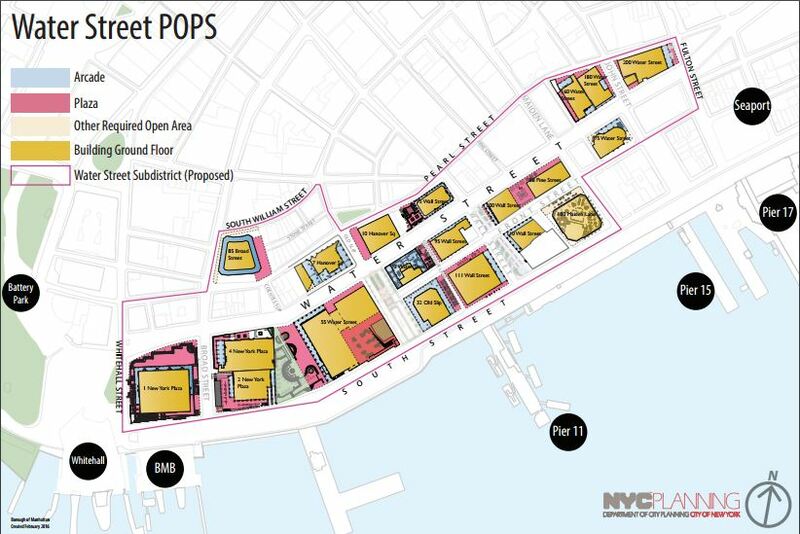 On June 15, 2016, the City Council Committee on Land Use voted unanimously to approve a modified version of an application submitted by the Alliance for Downtown New York, the NYC Economic Development Corporation, and the Department of City Planning to rezone the privately owned public space—colloquially known as “POPS”—on and surrounding Water Street, located on the east side of lower Manhattan. The modified proposal requires the Alliance for Downtown New York to commit to providing programming on the public plazas, re-instates public review as a requirement to infill the larger buildings affected by the rezoning, and places further restrictions on the infill of the arcades. The City Council resolution has garnered unanimous support by the Council’s Members and other elected officials. On May 4, 2016, the City Council Land Use Committee will hear testimony on a resolution to urge the Landmarks Preservation Commission to designate the Riegelmann Boardwalk—most commonly known as the Coney Island Boardwalk—as a New York City Landmark. 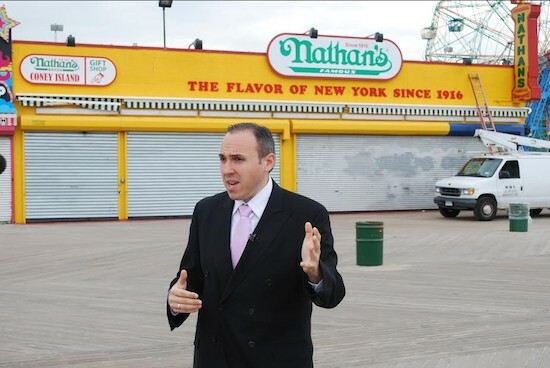 The resolution, sponsored by Brooklyn Council Member Mark Treyger, is a way to protect the Boardwalk from physical alterations, which threaten to alter its historical character and physical nature. Full vote follows Committee approval following extensive modifications after receiving community input and testimony for months. On March 17, 2016, the City Council Subcommittee on Zoning and Franchises and the Committee on Land Use each voted on Mayor Bill de Blasio’s proposed Mandatory Inclusionary Housing and Zoning for Quality and Affordability proposals. The full Council is expected to approve the proposals at today’s City Council Stated Meeting. To see CityLand‘s comprehensive chart outlining the modifications made to MIH and ZQA and approved by the Council, click here. Please see associated article for more information. The City Council Subcommittee on Zoning and Franchises and Committee on Land Use voted to approve the Mayor’s Mandatory Inclusionary Housing and Zoning for Quality and Affordability proposals with modifications. CityLand created a comprehensive chart outlining the modifications made to MIH and ZQA and approved by the Council. Rendering of 146-150 Wooster Street in Manhattan. Image Credit: KUB Capital. Developers spent months engaging local representatives and neighborhood residents to garner their approval before formally initiating ULURP process. On January 28, 2016, the City Council Land Use Committee unanimously approved an application to construct a mixed-use building at 146–150 Wooster Street, located in Manhattan’s landmarked SoHo Cast-Iron Historic District. 150 Wooster LLC, the project developer and subsidiary of KUB real estate investment and design firm, is the second owner to attempt to build a new development in place of the existing and unused one-story garage. In the face of substantial community opposition, the previous site owner’s ULURP application was withdrawn before reaching the City Council.